This post is for our readers who want to start their own personal site. Whether it is a fashion blog, an e-shop or a fan site, always remember that you’re targeting a global audience. Your site should appeal to everyone. It should have a good reader-response feature so in return you will know if you are giving your readers what they want to see. Also consider your mobile audience because it is a fact that majority of web surfers nowadays are using their smartphones. There are several things to consider in creating a site. You have to choose an appropriate design based on the purpose of your site. No need to memorize a complicated command line or web developer’s formula. Majority of the bloggers out there are using services from various blog hosting sites. For starters, I suggest using a blog-hosting service. Whether it is WordPress, Blogspot or Webs, your design should make a statement. In WordPress, there are several forums where you can interact with fellow bloggers who might help you in your conceptualization stage. If you’re using a blog hosting site, chances are, you have tons of themes and templates to choose from. 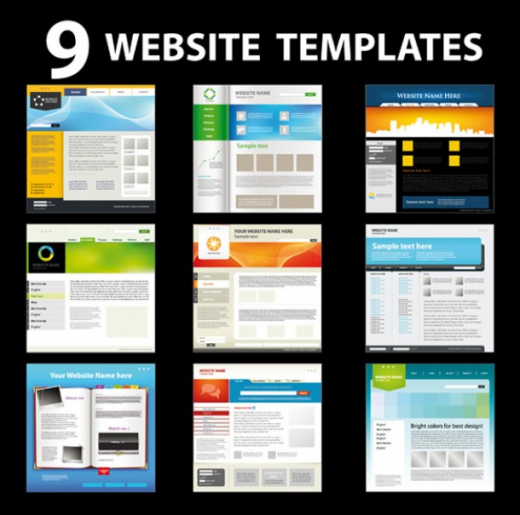 The only downside is that majority of the free templates are either plain or widely used by several clients and webmasters. You don’t need to make it complicated for it will just lure your readers away. What is your objective? If it is a business site, the products should be highlighted over a light-colored background. If it is a gaming site, it should be simple yet attractive. Take partypoker, a gaming site, as an example. The site is simple yet elegant. Its upper part is in emerald green against the white text to indicate the subsections re-directing visitors either to download partypoker’s set of games, promotions, tournaments and rewards. You don’t need to give anything in your homepage. Also, its logo is simple yet something that you’ll remember. Design a simple logo or masthead which is unique and attractive. It is understandable if you like to give everything in your homepage. However, a crowded one will give your visitors a headache. That is why you need to create a hyperlink instead. Only give a brief description of what to expect when clicking the link. Accompany your links with an icon, a flashing image or a relevant logo. In partypoker, there is a large red button with ‘Play Now’ words indicated. A visitor like me will be curious for sure and will definitely click the button. The promotions and events section is full of flashy images containing beautiful poker icons corresponding to the games they offer. A how-to-play is also located logically at the left so that the visitors will notice the portion of the site. It’s purposeful and straightforward. Lastly, refrain from using more than five color combinations on the site and you should always refer to the color wheel theory even for your web design. Good luck!